Passages of Writing: Animal people, Charlotte Wood. 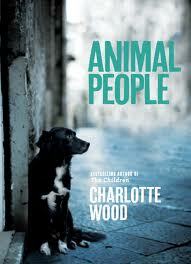 Book: Animal People by Charlotte Wood. Allen & Unwin 2011. This edition: e-book, Allen & Unwin, 2011. Writers are always taking the time to slow the reader down to think about things in a way that is normally missed. It’s one of the things I love about writing. And it’s a little bit disarming to think that someone may be listening to the way you eat an apple from another room. He heard her set a knife down in the chopping board before going to answer the door. He had never before known the cadences of a person’s movements like this, except in his own family, as a child. It was not just her tread; footsteps were easy, especially here in Fiona’s house when there were just the two of them and the girls, whose hard little heels struck the floorboards like mallets. But even elsewhere, in other houses, in shops, he could tell Fiona’s presence by the sound and rhythm of her movements: keys in a handbag, the taking of a breath. Surely humans could only breathe in so many ways – inhalation, exhalation could not possibly be so individual – but still, he always knew her. He knew the sounds of her swallow, her bite of an apple from another room.